"...Your wedding is one of the most important days of your life and as everyone knows music plays a major role in the success of the wedding. Wes is Michael Jordan - came through, never a doubt, nailed it with a smile on his face - with some swagger. He brought the tent down for almost 300 Jewish and Chinese people (good luck with that crowd). Hire him. Quickly. You'll be glad you did." 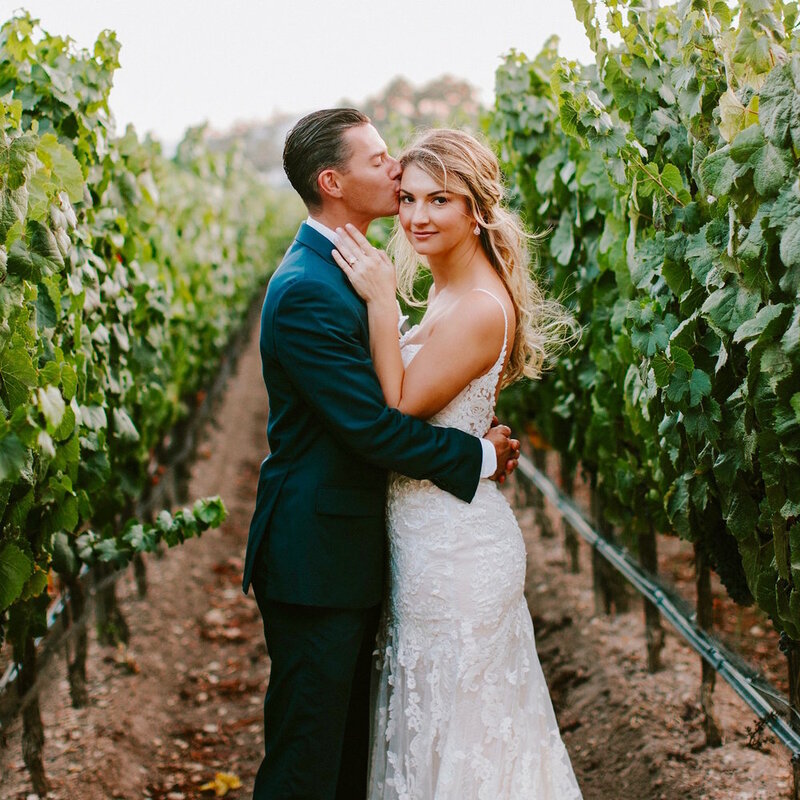 - Phil S.
"Where do I start.... My now husband and I are still in complete awe of how well DJ Dom truly new what we wanted and was able to exceed all our expectations on our November 17th wedding! After our wedding, I had multiple guests beg me to reach out to him and ask him for our music playlist; which he graciously gave to us to share. DJ Dom did not miss a beat (no pun intended) with all our crazy requests and knowing what songs to play to keep my guests on the dance floor. The way he is able to blend songs into one another is the absolute best I have EVER heard and I would give anything to relive my wedding just one last time. If you are reading this and are on the fence about who should DJ your wedding, please take it from me and know that DJ Dom is who you are looking for. DJ Dom, thank you so much for being part of our special day and creating a dance floor that ALL my guests can't stop talking about. I hope to work with you again in the future! We had the time of our lives. DJ Wes, you had me at "Heartbeats." Music was a really important part of our wedding, and we wanted to make sure we found the right DJ who was on the same wavelength with us in setting the right party mood from the guests' arrival to cocktail hour through dinner and dancing. From the moment we heard his "It's Just Another Excuse" mix and after our first meeting, I knew DJ Wes was our man. Throughout the planning process, Wes was professional, prepared, responded promptly to emails, and always made himself available for any questions we had. He was incredibly helpful in getting us on the right track in our wedding timeline and had great suggestions for songs to play at certain highlights of the evening. At the wedding, he was prompt, played everything right on cue, announced everything perfectly on schedule, and kept a great vibe going all night long. I remember thinking half the night, "I love this song!" So many guests came up to us during the evening and well after the wedding to say how awesome DJ Wes was. And on top of that, Wes is just a down to earth, laid back, fun person that we have had the pleasure to get to know. "A friend of mine had been to three weddings in a week, culminating in our wedding on a Sunday night. His direct quote:"I never knew that a DJ mattered so much until I went to these weddings. Your DJ (Dom) was far and away the best!" Other comments from guests included: "Your DJ is killing it" and "What company did you use and do they travel to Orange County?" In the lead-up to the wedding, Wes was super easy to work with and helped us along in creating playlists that would serve as guides for our events. In the end, he had our guests up and dancing until we closed the place down... It was epic. - David I. "...We had 200 guests and they LIVED on the dance floor all night long. Wes found a way to mix hits old and new to keep everyone engaged and dancing the whole time. What surprised me most was how he was able to do this, while keeping the setlist incredibly personal to my wife and I... It was incredible. Wes was incredible. We can't recommend him highly enough!" - Matt S.
Whenever we tell anyone about our wedding the first thing we tell them about is WesLee. We LOVE him and all of our attendees loved him as well. We had a very informal wedding with food stations instead of a sit down dinner and the layout was pretty funky. WesLee came to the venue prior to help us decide on how many speakers we would need, where they should go and to get a feel for our musical interests. We only gave him a few songs that were must plays but he was so in tune with what we wanted that he was able to put together an entire evening of PERFECT songs. There were times when wejust looked at each other and said "How did he know we LOVE this song? He's F***ing Killin' It!". His mellow vibe and knowledge of music made us instantly at ease and as a result we had one less thing to worry about. While waiting to walk down the aisle the music he was playing put me at ease and I knew the night was going to be perfect. While taking photos we could hear the music playing and actually stopped taking photos early to get to the dance floor. When we arrived people had already started dancing. He was able to get EVERYONE, the groom's dad who doesn't dance ever, the 20 somethings and the 60 somethings on the dance floor. Our family and friends are huge lovers of music and he was able to handle all of their requests with a smile on his face and seamless transitions. Not to mention he was an incredible MC, able to keep the flow moving naturally and on schedule. He was also very flexible, staying an hour past our original scheduled end time. There were multiple guests(one who himself is a DJ in SF) that came up to us professing their love for him. His energy, ability to read the crowd and his presence made our wedding the best party we have ever been to. I have already recommended him to a few people getting married in the LA area and if we happen to be in the area and need a DJ there is no one else I would hire. "Dom deserves more than 5 stars! He was so incredible to talk with about the wedding day and how we wanted it to flow, he made what we talked about happen! To me music is such a major part of any party, his ability to read the dance floor made the dancing not stop till the end! He had some incredible suggestions for us as we didn't want some of the traditional wedding day festivities. From the moment the music started as guests were arriving till the last song his choices kept a happiness in the air that matched our day! I am so grateful to have found Dom on yelp!" "...Our planning calls with Wes felt like talking to a good friend (a friend that's wayyyy cooler than we are). Wes will take as much or as little guidance as you want to give him; my husband and I love music, but our favorites aren't really dance-floor-friendly, so we gave Wes mostly free reign over the playlist. The cocktail hour and dinner music were perfect (I'll never forget our whole head table singing along together during the meal), and once the dancing started, it never stopped. By the end of the night people of all ages and cultures (we were a multi-ethnic wedding) were a sweaty, happy, mess." "Dom DJed our wedding (ceremony and reception) in July 2016. He was absolutely fantastic, we cannot recommend him any higher. We challenged him with three separate spaces for the ceremony, cocktail hour, and reception - and he did an amazing job quickly setting up and providing the perfect music in each spot. Let me tell you what, when you have a good DJ, people aren't commenting about the music, they are either dancing, sitting and resting their feet, or taking a cake break. When you have a bad DJ, people are standing around, talking about the weird music. We have all been to that wedding with the awful DJ that plays crappy music, or tells stupid jokes or has the quietest voice. We had THE BEST DJ. He was really nice and fun with our guests, several of which commented to us what a cool guy he was. He also has a great voice, and a good way of speaking that gets people doing what they should be and moving the party along. You have to remember that your DJ is usually also your Emcee, so they aren't just playing music they are making announcements and introductions. Before the big day, he took the time to meet with us over skype a couple of times, so that we could give him a sense of what kind of music we liked. He walked us through the process, and told us what kind of music we needed for when, and gave us suggestions when we needed them. We had some specific song requests, and some cultural music we wanted to be played, and he incorporated those requests flawlessly. Aside from the songs we created on playlists for him, and our specific requests, we let him take the reins and add in anything else he felt was a good fit, and gave him control of what to play and when. He worked seamlessly with our wedding coordinator (which is SO important because those two people are running the show on the big day, they need to be on the same page about timing regarding moving people to a different area, speeches, dance time, other announcements etc.). He sent us the sweetest, loveliest email after our wedding thanking us for a great day. So this is our thank you back to him. Thank you so much DJ Dom, we loved having you as our wedding DJ!!" "...Wes is easy going, cool, makes everything run smoothly and has an amazing ability to carry any music taste you want throughout the whole evening, from dinner to tearing up the dance floor. He also tactfully navigated my annoyingly persistent (and drunk) high school friend who kept pushing bad requests. Everyone from my mom to my friends kept commenting on how great he was. Thank you for making our wedding such an unforgettable event! I could not possibly recommend you more highly! " "...Wes was attentive to our needs, made himself available anytime, and inspired confidence that the evening would go great. Of course he was right! He gave my wife and I an evening we will never forget, and all 100 of our guests agree. He is calm and cool when speaking on the microphone and when it was time to get the dance party started he brought the house down. Seamless mixing and the proper selection of tunes combined to create an atmosphere everyone hopes for at an occasion like this, and Wes hit it out of the park!" - Brein S.
Please note: GoodMood is providing information about Wes and Dom’s past work as independent contractors in the private event and wedding industry. 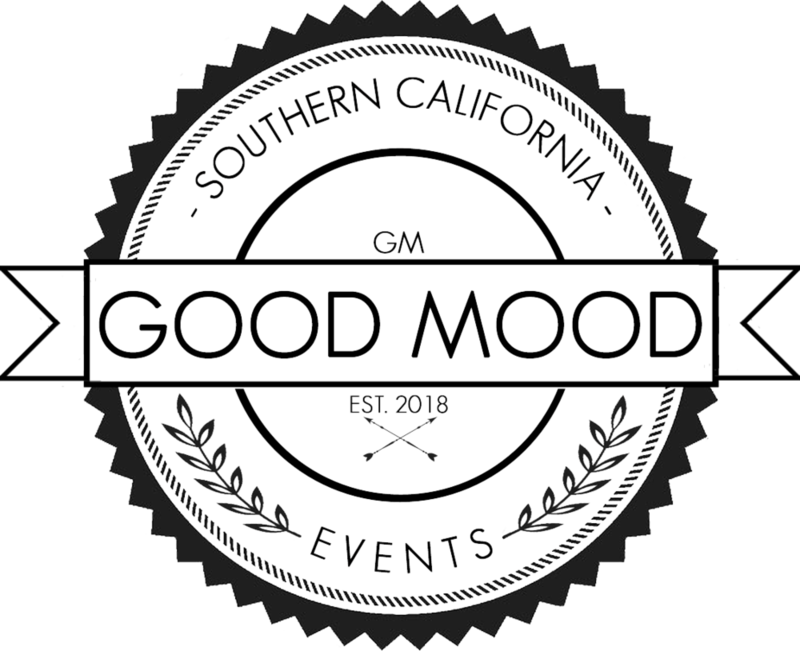 GoodMood is in no way associated or affiliated with any DJ company or companies that Wes and Dom have worked for or with in the past as independent contractors. FurtherMORE, GoodMood is in no way associated or affiliated with any company or companies that may appear or be named in the articles linked to via the GoodMood website and press page.